Start fall off on the right foot with this new twist on a classic moscow mule, made with Hendrick's Gin and apple cider! This post was created in partnership with Drizly! All opinions and text are my own. Thank you for supporting us and the brands that we love. Happy Friday, y’all! And happy unofficial start to fall season… with everything pumpkin and apple and cider and cooler weather. While I am excited about the slightly cooler weather, I’m not too excited for it to start snowing again in just a few short months. But the babies are finally going back to school on Tuesday and this will give this momma some much needed “me time” during the day. Which is why I partnered with Drizly to create this gorgeous drink for you (and me, of course). Have you heard of Drizly? No? I hadn’t either until the beautiful Erin contacted me after seeing my Vodka Watermelon Cooler post. Then after a little investigating found out that they are an alcohol delivery service. Yes, you read that correctly… alcohol delivery service. Right to your door! What could be better than that?!? So for this recipe, you can grab your own ingredients right from their website and have it delivered straight to you! No going to the store to get your ingredients… just click and wait for it to be delivered. Most of the time in less than an hour! There is nothing easier and better than alcohol delivered to you. Seriously. 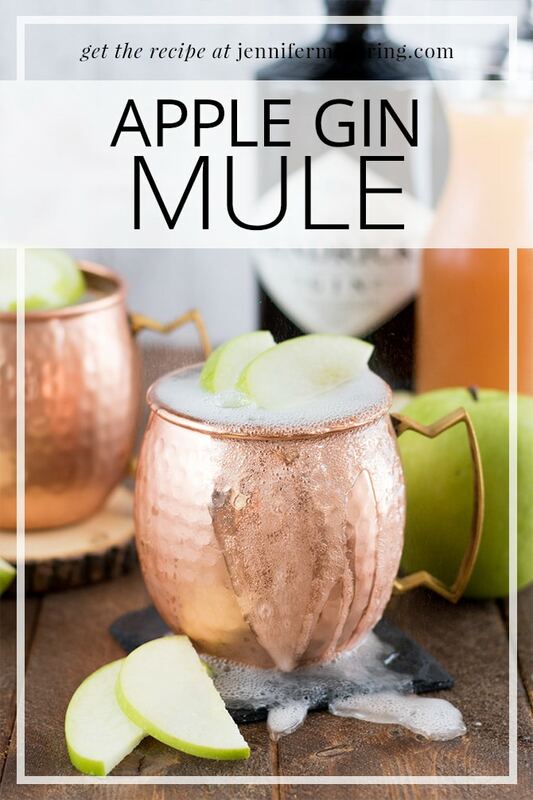 So we partnered up and I whipped up another cocktail, because that’s currently my favorite thing to do, and I bring you this gorgeous and delicious Apple Gin Mule. I figured why not start September, and unofficial fall, off on the right food than with a refreshing drink that you can enjoy during the “last hoorah” of summer: Labor Day weekend – and of course all throughout fall and beyond. Apple cider started showing up in my local grocery store a couple weeks back when apple season hit here and I couldn’t be happier. I love making all the things with apple cider and this drink is no exception. I wanted to do a new fall twist on the classic moscow mule – since I am also currently on a ginger beer kick and cannot get enough – but with gin instead because that’s what the generous people at Drizly were eager to create something with. I absolutely love moscow mules so it seemed only fitting to try some apple cider with one of my favorite drinks. And ya know what? This drink turned out amazing!! This cocktail is refreshing, satisfying, and dangerous because it is so good. It has a slight gin flavor but with the hint of apple cider and the tang of ginger beer balance all the flavors so nicely and you’ll be amazed at how fast you find yourself drinking them. Watch out now.. haha! So head over to Drizly.com and grab your ingredients. 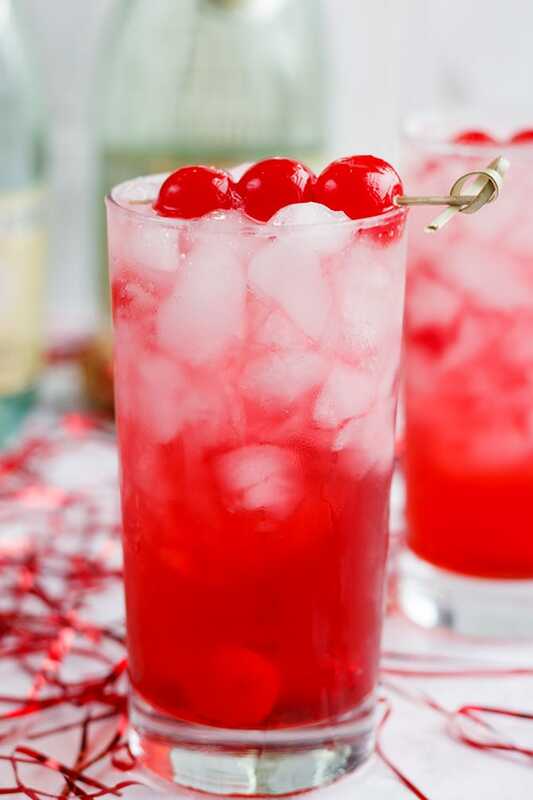 Then whip yourself up one of these cocktails today and cheers to your weekend! In a cocktail shaker, add apple cider and gin. Shake gently to combine. Fill two copper mugs with crushed ice and pour 1/2 gin & cider mixture over top of each mugs crushed ice. Top each with 6 oz ginger beer and garnish with apple slices. This is a sponsored post written by me on behalf of Drizly. I’m incredibly grateful for opportunities like these that allow me to continue sharing delicious recipes with you, so thank you for supporting us and the brands we love. I love the look and sound of this mule! I’ve been drinking them like crazy this summer, but had never thought to do a gin mule. Can’t wait to try it! I know me too! And these have definitely transitioned my summer mule to my fall mule! Wow, this sounds amazing! I love gin and this is such a fun way to serve it up! Pinned!! Thanks Katie! Hope you love them as much as I do! I’m so ready for fall and this recipe looks like the perfect way to celebrate it’s arrival!! I love ginger beer, and gin, and apple cider. So this sounds perfect! I’m also a fan of a quick alcohol delivery service, because I’d imagine it’s great if you run out of booze at a party – no one has to worry about getting behind the wheel to buy more. Convenient and safe! Ya know, I never even thought about that part. That’s literally the perfect thing… no one driving.